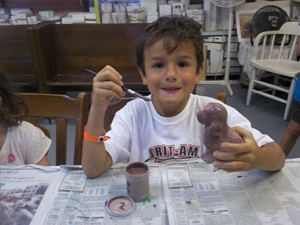 I am delighted to invite you to enrich your child’s life by joining us at Camp St. Charles. 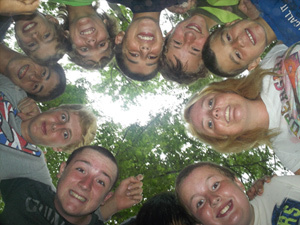 This experience can be a powerful, positive influence and you will be hearing stories about camp for months, even years! 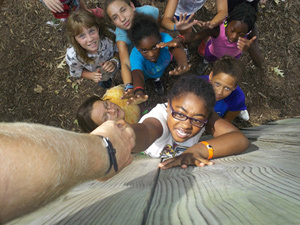 Children leave camp with greater independence, confidence and empowered by the adventure. My personal connection with Camp St. Charles began when I was a child. I was excited to bring home a camp brochure and wanted desperately to attend. I was disappointed to learn that the program was only for boys. As a college student, I was seeking summer employment and rediscovered Camp. 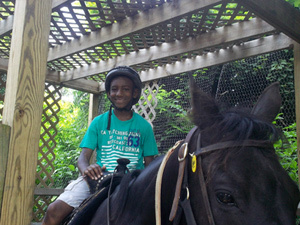 I taught horseback riding with Brother Roger Nelson during the summer of 1994. 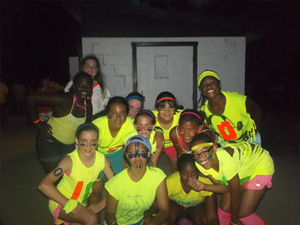 I had only planned to work for one summer but I fell in love with everything at Camp St. Charles. In 2001, we invited the sisters and cousins of our campers to join us for a trial co-ed session. It was a huge success and Camp St. Charles is now a coeducational program. Speaking of love, my husband and I met when we were both counselors. We had our wedding at Camp. We adopted our dog from Camp. Our youngest child came home from the hospital to Camp. It is safe to say that Camp St. Charles is a huge part of my life and I enjoy seeing many families who have made it an annual event in their lives. My family moves to Camp each summer. 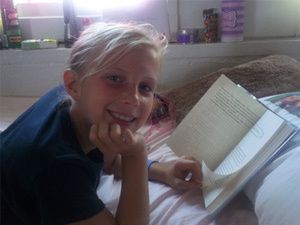 My children are campers and they live in the cabins and join in activities with other campers. When I am preparing our staff for the summer, I am inviting them to be a part of our children’s lives. 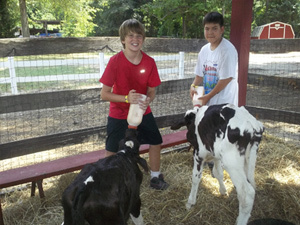 We create a unique environment in which children can connect with nature, nurture faith, forge lasting friendships and grow in independence. I am delighted to partner with you on this journey!